Valley teen killed in shooting near 67th Avenue and Peoria. 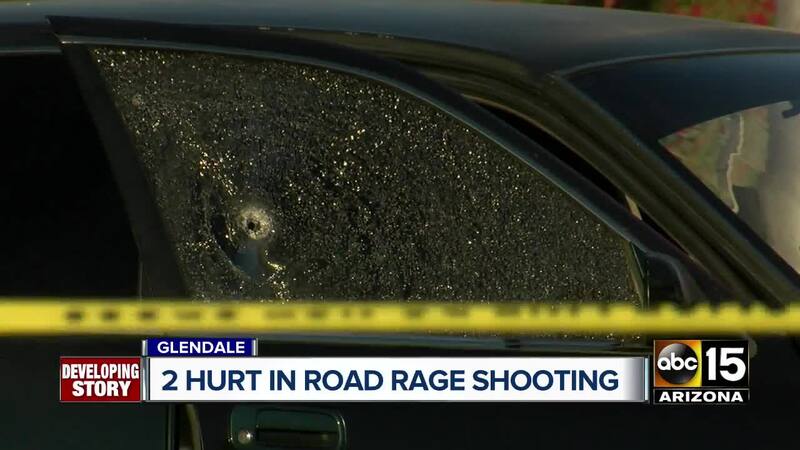 GLENDALE, AZ — A suspect in a fatal road rage shooting in Glendale has turned himself in to police. The shooting near 67th and Peoria avenues left the 18-year-old driver of one of the vehicles dead. According to Glendale police, they found Alexander John Pettygrove and an 18-year-old passenger after their vehicle crashed into the exterior wall of a gas station at near the intersection. Police say they found Pettygrove and his passenger had been shot prior to their arrival. Pettygrove suffered life-threatening injuries from gunshot wounds to his leg, arm and head. He died after being taken to an area hospital. The passenger is currently recovering, according to Glendale police. Witnesses told police that there was an altercation between the suspect and the victims prior to the shooting. According to police, the suspect vehicle pulled up next to the victim at the intersection of 67th Avenue and Peoria. 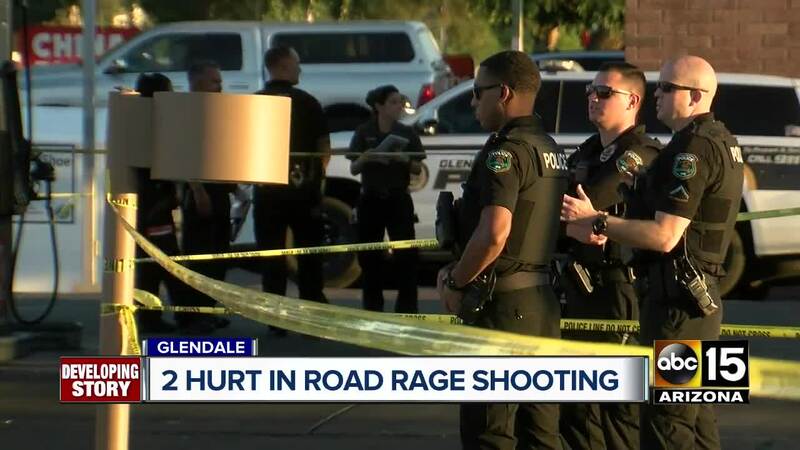 Pettygrove's friend and passenger, who says he was shot in the leg, told ABC15 Pettygrove tried to apologize to the other driver after he partially cut him off Saturday afternoon as the two friends went to get food. "Saw the guy at the red light, he rolls down the window and (Pettygrove) is like 'hey, it's my fault, I'm really sorry for that,'" said Samuel Luviano-Gonzalez. "The guy's like 'nah dude, you just did that to cause problems with me.'" Luviano-Gonzalez says an argument ensued and the other driver threatened to shoot them. He says Pettygrove then threw a cup at the other vehicle and the driver responded by opening fire multiple times. "After the first bullet, I immediately just went deaf," Luviano-Gonzalez said. "I heard the ringing in my ear." He told ABC15 he turned his head to get a good description of the other vehicle, which he feels saved him from getting shot in more than just the leg. "I'm still asking, why am I alive and it happened to him?" Luviano-Gonzalez said. According to police documents, witnesses saw the suspect take off from the scene at a high rate of speed after the shooting. 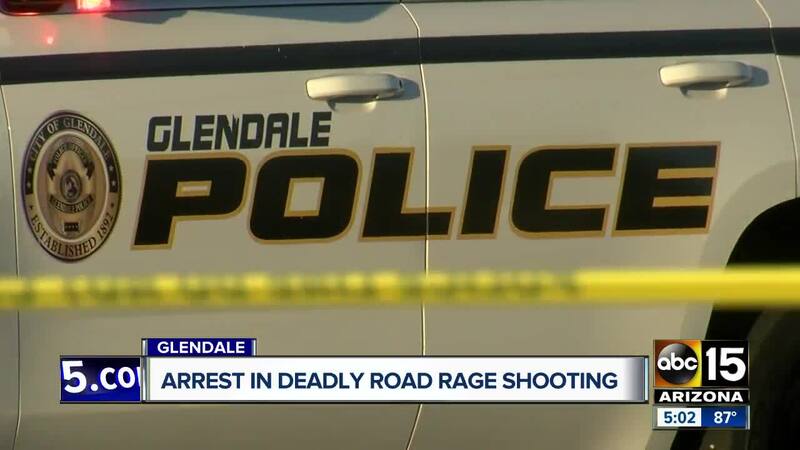 On Monday afternoon, Glendale police say the suspect turned himself into police. He has been identified as 22-year-old Daddy Alexander Felix. He reportedly admitted to detectives that he was involved in the shooting. Felix was arrested on charges of second-degree murder, drive-by shooting, discharging a firearm within city limits and aggravated assault with a deadly weapon. A GoFundMe page has been set up to help Pettygrove's family with funeral expenses. If you would like to donate, click here. The incident marks at least the eighth reported road rage incident in the Valley this year.